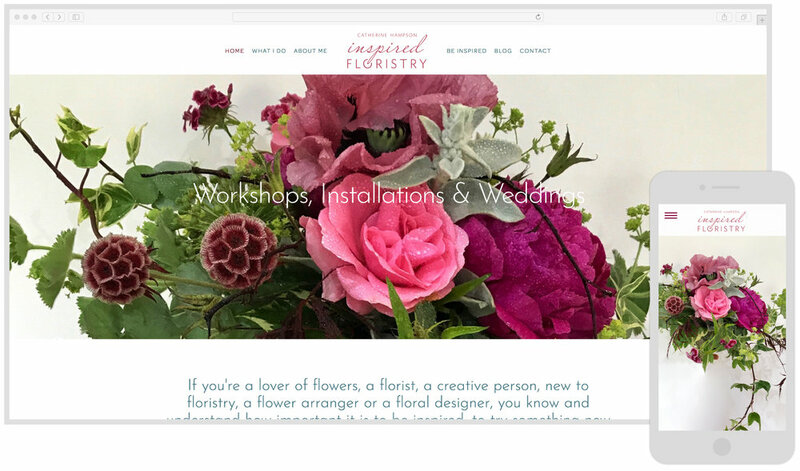 Isoblue were commissioned to redesign the Inspired Floristry website to create a modern showcase and to set up workshop events calendar and online ticket sales. Master Florist - Workshops, Weddings and Installations. I chose to work with Isoblue as they have a rare skill-set of design, technical knowledge and real world business insight. As a creative person myself, it was important that I found a company who I felt I could trust and work alongside. They not only helped with improving the design of my website but helped me set up my workshop events and ticket sales. They know how to get the very best out of Squarespace and are happy to share this knowledge so I could manage updates myself. I would definitely recommend Isoblue.